This trio by itself is keeping the “Hidden Cameras Shop” in business. What’s the deal with Lik? He plays his dual sides so well that it’s hard to differentiate between the big-time crook and the charming guy who just wants to reunite with his family. Why you gotta be so cute, dude? But at least one of the characters will have better insight into who this guy really is by the end of these two episodes. This major game-changer should set up for a very interesting second half to the drama. And for the record, I’m very much on Team Szeto in this love triangle! MOTHER KNOWS BEST | After receiving Jan’s call that the taxi lady was driving her to where she dropped off Katy, Szeto realizes that he and Scarlett have been looking in the wrong direction. It’s more likely that the culprit that kidnapped and killed the other girl is a woman, and not a man. He tries to call Jan to warn her, but it’s too late because she’s already been captured and chained up by the taxi lady. Szeto finds out the taxi lady’s information, and even the fact that her daughter died from having an abortion and she consequently became insane. She kidnapped the other girl and Katy because she wanted to “teach” them not to be so “bad” (e.g. getting knocked up). By the time that he and Scarlett find the abandoned house, Katy and Jan are nowhere to be found. Taxi lady must really be crazy because she willingly drives up to the police, and tells ’em that they will never find the two girls in her creepiest voice possible. FOLLOW THE STREAM | The police arrest taxi lady, but she’s not spilling the beans. She does, however, get real happy when she hears that it’s pouring rain outside, and Szeto immediately knows what’s up. He deduces that taxi lady must have hidden the two girls somewhere outdoors and close by the house, so he and Scarlett go back to look. And because nothing escapes from Szeto’s eyes, he notices that the water is looking strange when it flows beneath a van. Katy and Jan really are hidden in a very deep ditch underneath the van and about to drown. Scarlett and Szeto manage to flip over the van in record time to rescue them, but Jan is still unconscious. Some mouth-to-mouth resuscitation and CPR from Szeto brings Jan back to life! She later thinks about how Szeto has rescued her twice now…but she still doesn’t know if she likes him or his twin. CALL HIM SZETO SIR | Agatha and the rest of the P.I. Firm are having a karaoke party to celebrate solving the case and Jan being alive. Jan makes a speech to thank Szeto for saving her life and teaching her how to be a good P.I. Agatha is totally trying to set them up because she drags Szeto over from his corner to tell him to properly accept Jan as his disciple. And he agrees! When Lik shows up to the party with suitcases, he tells them that he’s being forcibly kicked out of his place. 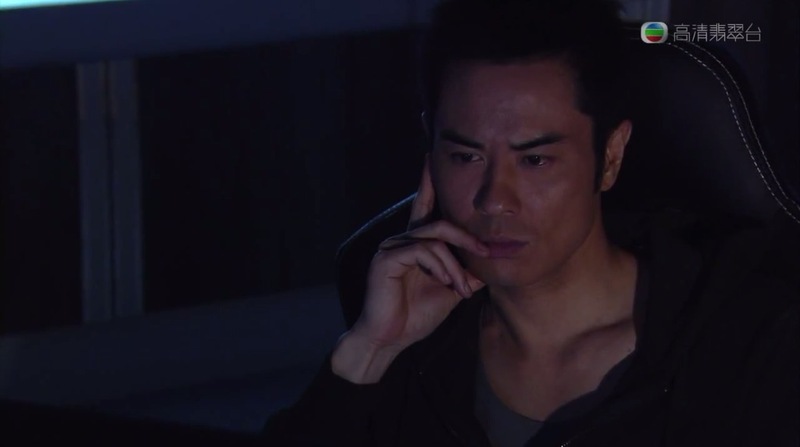 He then proceeds to get blacked-out drunk in the time that it takes Szeto to make a phone call. 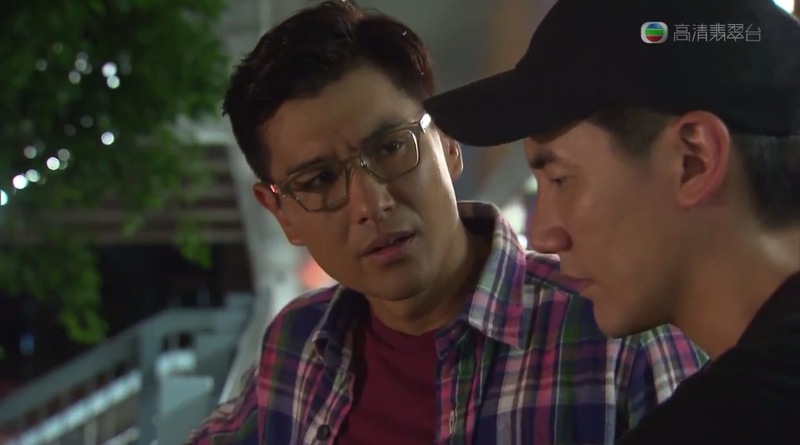 Szeto takes Lik back to his place, and tells him the next morning that he and his parents want him to stay with them for now. Wow, nicest family ever. SMELL-O-VISION | YM’s GM, Charles, tries and fails to peek in on one of the guests, Ms. Han, while she’s doing her daily naked yoga. He’s in for a rude awakening instead because she beats the crap out of him before he can see anything. Lik later recognizes the perfume that Han left on Charles’ jacket as the same one of the gunman who burned off his face and stole the diamond. Oh snappp. HAPPY BIRTHDAY TO ME | It’s Szeto’s birthday, so obviously it’s Lik’s as well. Lik thinks that he’s going to be chilling with Szeto’s (and his) family on this joyous occasion, but his parents tell him to quickly make plans for himself for the night because they’re going to go celebrate with Szeto. When even Terry ditches him to hang out with Agatha, he resorts to drinking beer and playing ping pong by himself on the roof. But when he later goes in the living room, out jump Szeto and his parents with a birthday cake! Of course Szeto knew that it was Lik’s birthday today too because he knows everything…and it’s in his personnel file. Szeto Mom tells Lik that it must be fate that he shares a birthday with the twins, so she wants him to be her godson. One step closer to a family reunion! NOT THE MOONCAKE BOX! | Lik wakes up Terry to ask him what he got for his birthday, and apparently what Lik wants is some cold-blooded revenge. Terry calls up the midwife who sold Lik as a baby and pretends to be the police calling about her son. When the old lady goes to the station, she finds out that she’s been tricked. But wait, there’s more. Terry steals her mooncake box that contains ALL her money (60,000 HKD), but he doesn’t take it for himself. Instead, he makes it rain by emptying the box’s contents over a pedestrian overpass, allowing the hobos underneath it to take all of the money. All the while, Lik is having a grand ol’ time watching her fight with the hobos over loose change. Okay, I know she sold him…but damn, that is COLD! Even Terry thinks so! Don’t mess with Lik…got it? WHAT GOES AROUND COMES AROUND | Lik is still lovin’ that trick that he and Terry pulled on the old midwife lady, and even hangs around her place to secretly watch her suffer. But to his dismay, the old lady is actually happy that this happened to her because she knows that it’s just karma for all the messed up stuff she’s done. And as a result of losing her money, her estranged son is talking to her again. Yeah, Lik is NOT happy about this at all. TREE HUGGER | The Agatha P.I. Firm is on the case about some guy who claims to be wheelchair-bound after a work-related injury, but medical reports say that he should be able to walk again by now. Jan follows him around town all day, and even climbs a tree to stake out his house. Lik, who ran into her earlier, brings her dinner at the tree because he’s been watching/admiring her from afar. When it starts raining later, he even goes to buy an umbrella for her. But he only gets back in time to see her fall from the tree while climbing down and then leave in a taxi. GIRL OF MY DREAMS | Lik dreams about the day’s events with Jan that night and because of the twin connection, Szeto dreams it too. Just go with it, k? When Jan and Szeto meet up the next day, he’s considerably nicer (and shyer) to her, and even orders her lunch for her. He later asks Lik what it means to dream about another person, and Lik says that it obviously means he likes her. Ooohh! Cue a slight smile from Szeto. Hm, but Lik was just bragging to Terry that Jan is still thinking about him and that there’s no way she’ll like someone else. This is bound to get messy. INSURANCE FRAUD | Szeto advises Jan to take advantage of the wheelchair guy’s greed (based on him stealing KFC napkins) to bust him for lying about his injury and cheating the insurance company. Jan dresses up as a street cleaner and plants a watch in the park bushes for him to steal. But little does the guy know that there’s a secret camera hidden inside the watch that captures footage of him getting up from the wheelchair to retrieve it! Case solved by the dynamic duo again. LADIES’ NIGHT | Mr. Kong finds out about Charles disturbing Han the other day, so per Lik’s recommendation, he hosts a dinner party for her and Ms. Kwok to apologize for his nephew’s rude behavior. Because Lik wants to confirm his suspicions on whether or not Han is the same person who burned off his face and stole the diamond, he sneaks into her room to investigate while she’s at dinner. While he’s snooping around in there, Szeto gets called out to the pool to deal with a drunk guest. After handling that, he calls Lik and asks him where he is because it’s so quiet…and Lik says that he’s patrolling the pool. Oops, wrong answer. LET THE GAMES BEGIN | Szeto recalls how Lik was asking casual questions about Han earlier in the day, so he calls the security HQ for records on anyone entering or leaving Han’s room. They show that someone did indeed enter her room after she left for dinner. But because Lik was smart enough to change the surveillance camera footage, there’s no video of him going in there. Szeto meets Han outside of her room to inform her that he heard weird sounds in there, and wants to accompany her to look around. While in there, he uses some app on his phone to locate a hidden camera in the room’s painting. That night, Szeto watches a video feed of Lik watching a video feed of Han’s room on his phone. Confused? There are two hidden cameras now; one was planted by Lik in the painting in Han’s room and the other has been planted in Lik’s room by Szeto! Oh, it’s on now. It’s SO on. Watching him watch him watch her. Totally agree!! I thought last week’s plot moved fast, but this week was another level. All the spying action. So excited to watch the next eps. Omg yes, I want KFC SOOO BAD every time they eat it on the show. They must need lots of herbal teas to combat the “hot air/yeet hay” from all the fried foods lol. But I approve of this product placement very much.